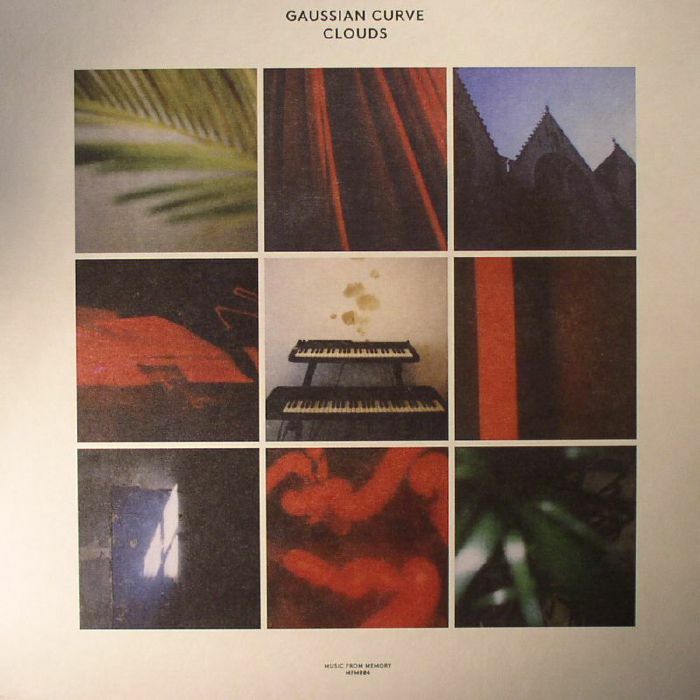 GAUSSIAN CURVE Clouds vinyl at Juno Records. ** Repress ** Having distinguished themselves with a series of superb retrospective releases highlighting the work of Leon Lowman, Gigi Masin and Joan Biblioni, Amsterdam label Music From Memory deviate from the path somewhat with his long overdue Gaussian Curve album. Ask yourself what would happen when a elderly Venetian who specialises in sublime ambient music spends a weekend holed up in a Redlight district studio with two of his biggest, most musically gifted fans. 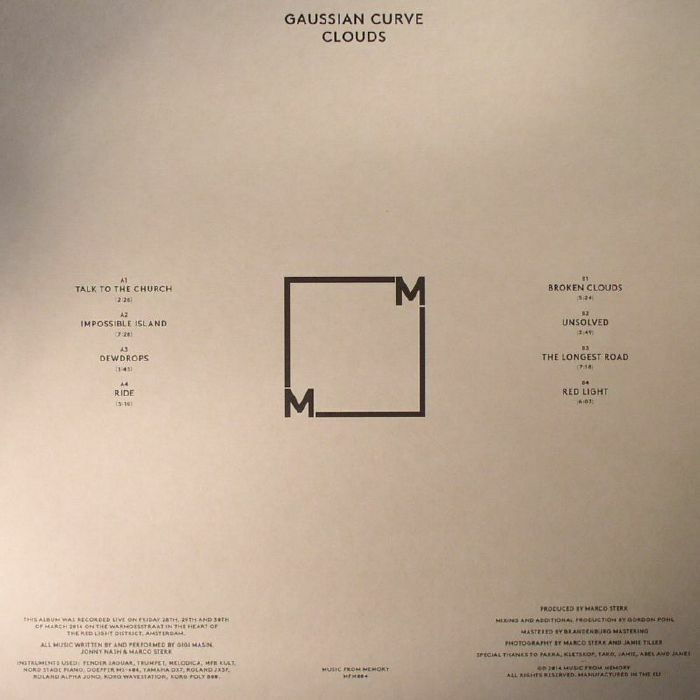 The superb Clouds is the answer, with 'Young' Marco Sterk and Jonny Nash following Masin's lead on an eight track exercise in sumptuous, calming composition. The wait has truly been worth it.